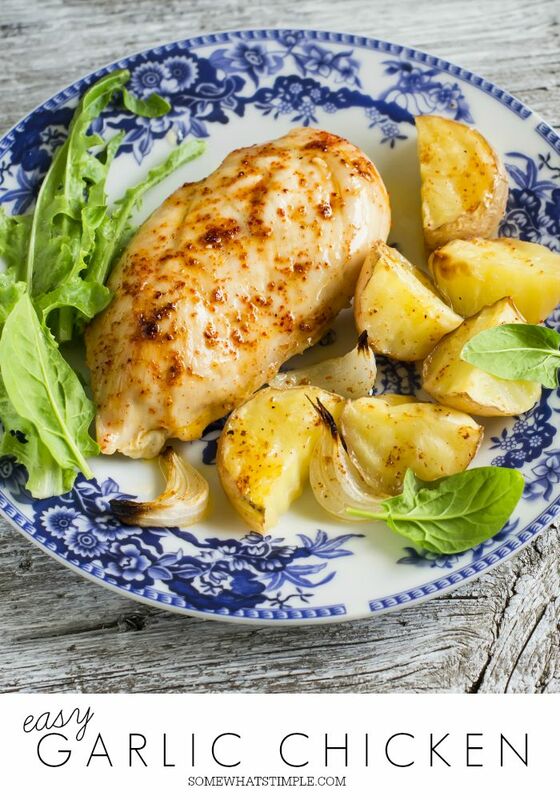 This garlic chicken recipe is easy to prepare and will quickly become a family favorite. Using only a few simple ingredients, you can have this healthy dinner ready in under 15 minutes. 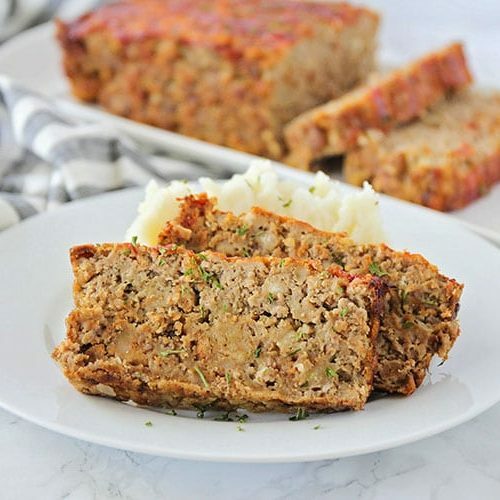 Serve this delicious dinner with a side of Roasted Vegetables, a Baked Potato and a batch of warm Homemade Dinner Rolls and your family will be begging you to make this every night! 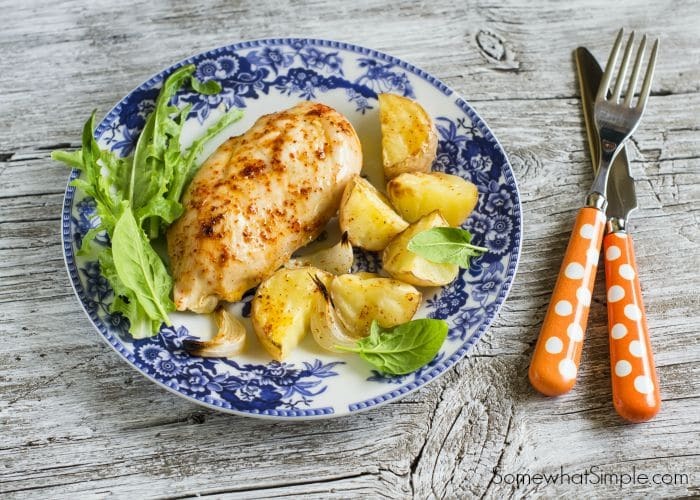 I just made this garlic chicken tonight and could not wait to tell you all about it! I love the flavor of garlic but when I decided to make this recipe, 20 cloves of garlic seemed like it may be too much. Rest assured, this is the perfect amount of garlic for this chicken recipe. It’s not at all overpowering and really complements the flavor of the chicken! 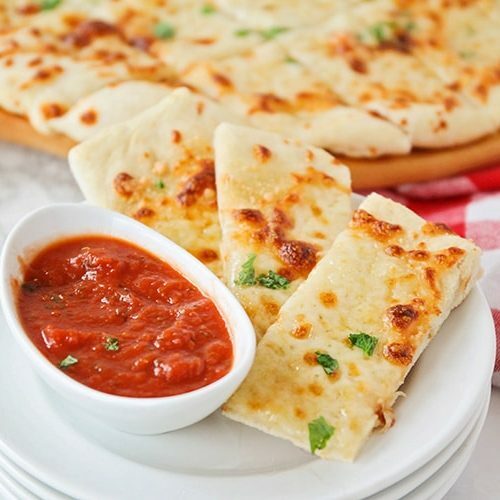 Not only is this a delicious recipe but it takes almost no time to prepare. Mix a few easy ingredients in a bowl and pour it over the chicken grilling in a pan and in less than 15 minutes you’ll have a tasty dinner. Garlic is an herb that is low in calories and contains multiple vitamins and antioxidants. Adding garlic to your recipes is an easy and inexpensive way to add nutrition to your diet. To add a little variety to this recipe, sprinkle some Parmesan cheese over the chicken during the last minute of cooking. 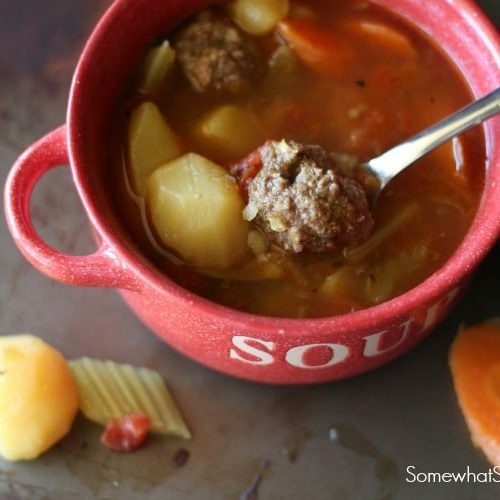 Either way, you’ll love this easy recipe! 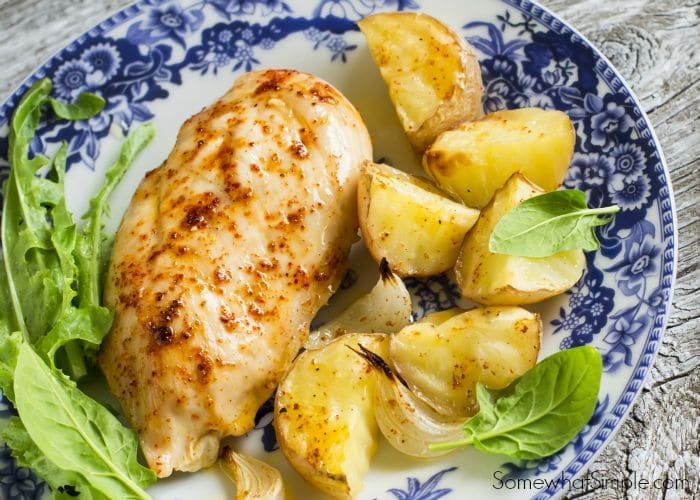 This garlic chicken recipe is easy to prepare and will quickly become a family favorite. Using only a few simple ingredients, you can have dinner ready in under 15 minutes. 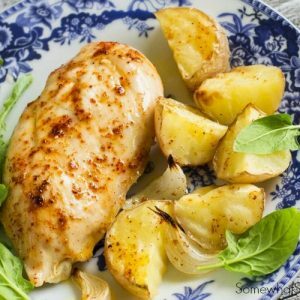 4 small boneless skinless chicken breast halves 1 lb. Place the chicken and garlic in a large saucepan on the stove over medium-high heat. Cook for 5 minutes, flipping chicken about 1/2 through. In a separate bowl, mix together the broth and dressing until well combined. Pour over the chicken and cover pan with a lid. Continue cooking the chicken for 3 to 5 min. on each side or until no longer pink in the center. Sprinkle with Parmesan cheese; cover and remove from heat. Let stand 1 minute before serving. I served it with some yummy grilled onions and potatoes- it was So GOOD! Seriously, give it a try and let me know in the comments below how you liked it ! Oh my goodness, in my editing of the recipe, I completely left this out- haha! That is kind of an important step, right?! I’ve updated the recipe- thanks for the heads up! And thanks for visiting our site!